On this page I will show and review some special parts that I've added to my WR500, that will not only improve the looks of the bike, but it's functionality also. 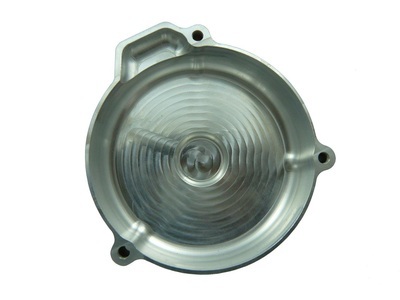 First item is the CNC Billet Ignition Stator Cover by Motokiwi. 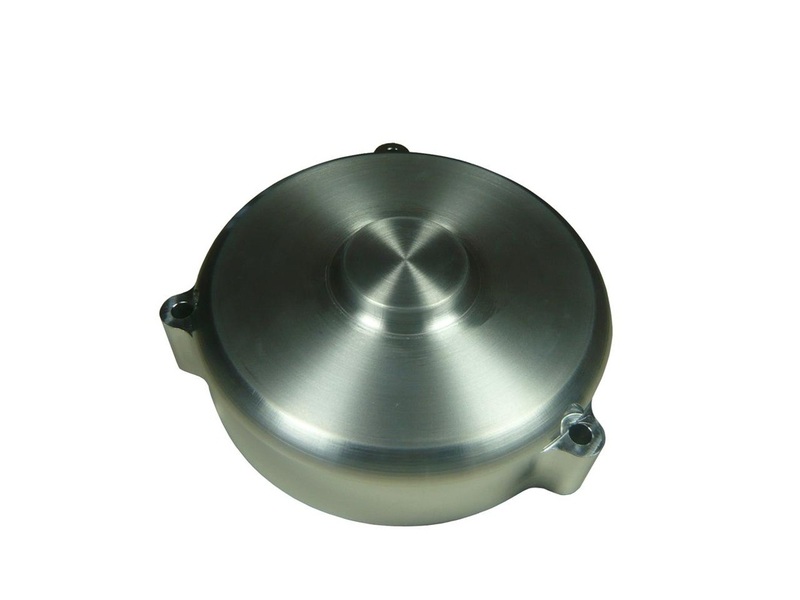 This cover is made from 6061-T6 Aircraft Grade Aluminum, and is a direct replacement to the fragile (and discontinued) OEM plastic cover. The Motokiwi CNC cover is incomparably stronger than the OEM cover, and also offers a perfect seal to keep moisture and dirt away from the bike's stator. Made in the USA, build quality and finish are first rate. Actually, looking at this cover, you might think it's some kind of a "works" cover that was built for the factory machines of Damon Bradshaw and Doug Dubach. It's a very tricky looking part! It fits the complete range of Yamahas 2 stroke big bores, from the YZ465 to the WR500, and comes in a variety of finishes and colors. I opted for the sandblasted finish (which is now discontinued by MotoKiwi). Now you can get it in premium raw aluminum finish, or hard coat anodized black. My veredict for this cover is: A must have part for any 465/490/500 Yamaha. 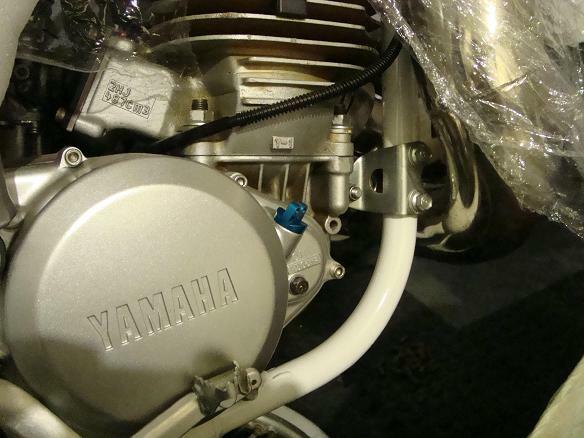 Below is a photo of my WR500 with my MotoKiwi CNC stator cover. Love it! 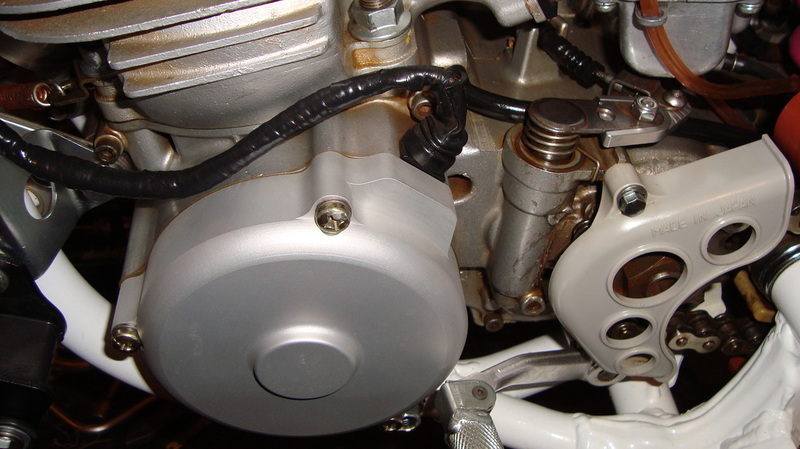 Another MOTOKIWI part that I deeply recommend, is the CNC Billet Actuator Clutch arm. 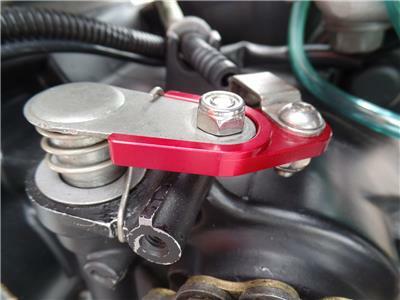 This is another "must have" part for the WR500 (or the YZ465 / 490). 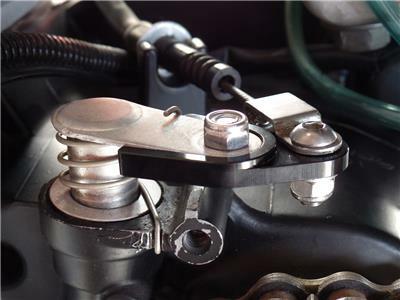 It will help tremendously to reduce the clutch lever heaviness - which is pretty common on these bikes. The light weight feel will come due to better leverage on the clutch arm, which will help reduce arm pump on the rider, and therefore make riding the big 500 even more fun. 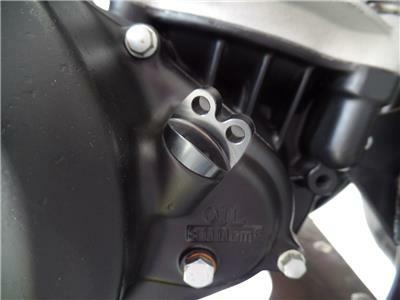 Like the MOTOKIWI billet ignition cover, build quality and finish are first rate. It comes in a variety of finishes: anodized BLUE, anodized RED, anodized BLACK, and RAW aluminum versions. I got mine in RAW aluminum, as seen on the photo above. Below are the other finishes. All look great! The third MOTOKIWI part that I added to my WR500, was the CNC Billet Aluminum Oil Fill Plug. This aluminum oil plug is a welcome upgrade to the cheap plastic plug that came stock on these YAMAHA open classers. 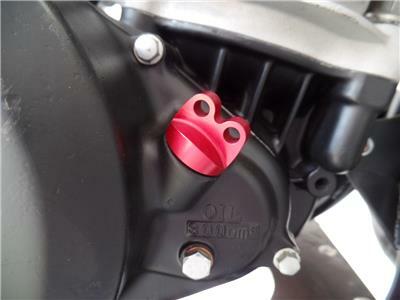 The stock plastic part will not only get it's treads damaged after years of use, but will also crack and then allow water and dirt to get into the cases when the bike is pressure washed (and oil to leak when riding). 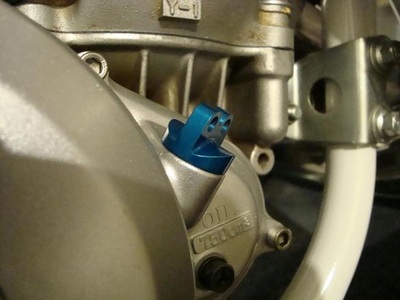 This CNC Billet Aluminum oil plug has the fit and finish expected from MOTOKIWI: Perfect! Aside from the technical aspect of it, the tricky look is a welcome bonus. 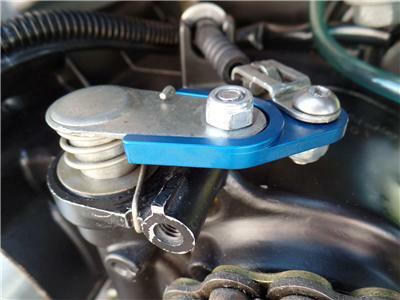 Like the MOTOKIWI CNC Billet Actuator Clutch arm, this oil plug also comes in a variety of colours: anodized BLUE, anodized RED, anodized BLACK, and RAW aluminum versions.